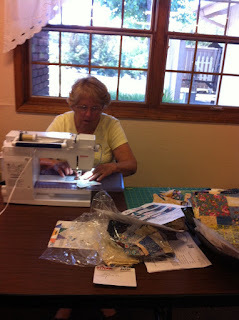 Last week I was busy teaching classes and giving a trunk show. 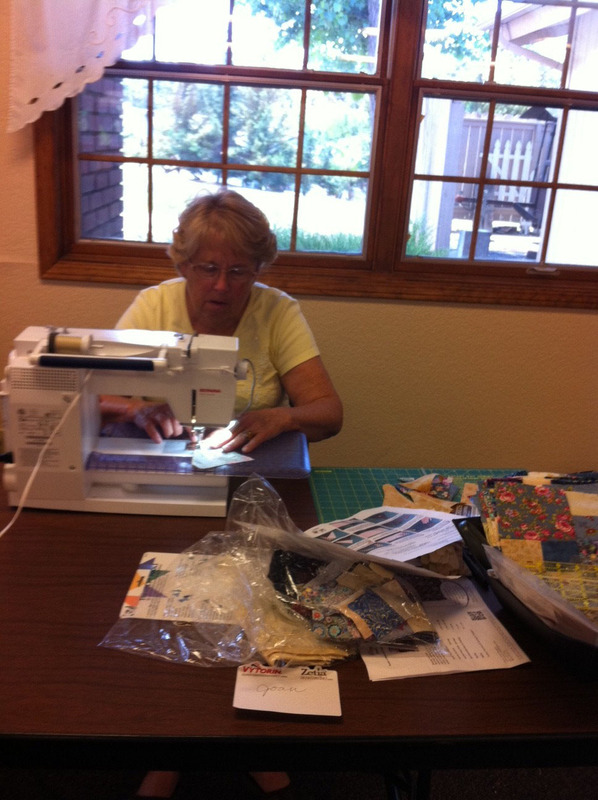 My week began at the Tehachapi Mountain Quilt Guild in Tehachapi, CA. They are a fun group, and we had a great time the day after the trunk show when they all worked on their own version of my pattern Ring of Stars. Judy and Nancy work in crisp blue and white. Pam in red and black . .
Linda in earth tones . . .
Joan's quilt will have a scrappy floral look . . .
Definitely the most daring color combination . . .
And don't you love to see the different ways quilter's work!